Hello crafty friends! 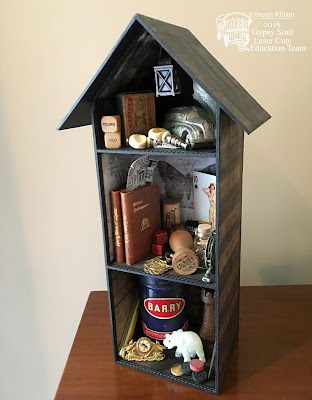 Today on the Gypsy Soul Laser Cuts blog I have a masculine-themed shadow box to share with you! I used the 3 Story House and packed it to the rafters with bits and pieces. Visit the GSLC blog for all the details!